In 1809, William Simpson died whilst on a voyage to Malta. The only son of Francis Simpson, he had previously served with the British Navy. His service with the Navy had made him conscious of the needs of ex-servicemen who had no home after coming back from war. His father, Francis Simpson, owned Plean Estate and was a former ship’s Captain with the Honourable East India Company. In 1829, Francis Simpson gifted his estate to Trustees. Nearly £3000 was made available to the Trustees to furnish and establish an asylum or refuge in memory of William, which would have a preference for accommodating former soldiers and sailors. The building was completed in 1838 after the death of Francis Simpson in 1831 and still operates to this day. In 1907, a new building was designed to form part of the asylum. 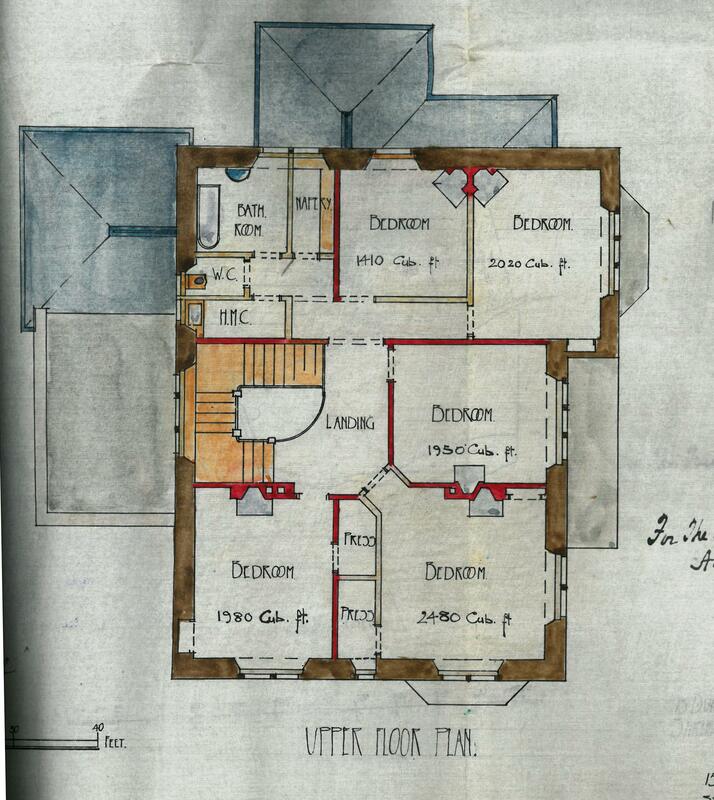 Titled ‘Governor’s House’, and part of the Stirling County Council collection held at Stirling Council Archives, it is presumed that this building was designed as permanent accommodation for the governor of the asylum, this was usually a Chaplain. The Reverend James Calder of East Plean was the Governor from the 1860’s to 1880’s. 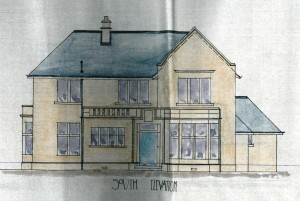 The house was to comprise of two floors with stores, larders, a kitchen and a dining room situated on the ground floor. The building was designed by architects Andrew McLuckie and Ronald Walker. McLuckie was born in Lennoxtown and was a qualified civil engineer who had worked with the Stirling Water Commission. 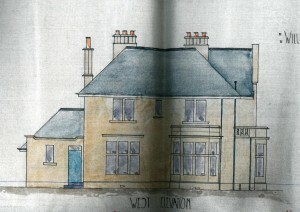 Walker was born in Tarbert, Argyll, and had worked with local Stirling architect, William Simpson. 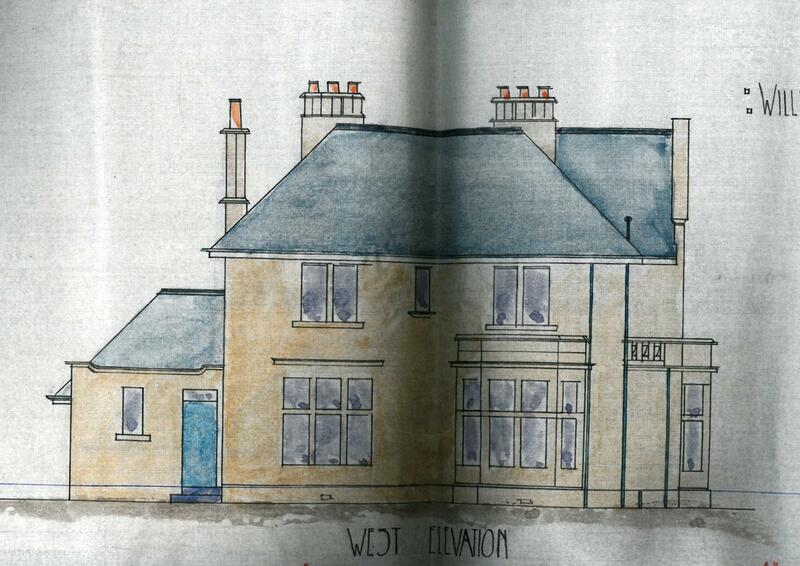 The two men formed a partnership in 1884 and established themselves at 48 Barnton Street, Stirling. 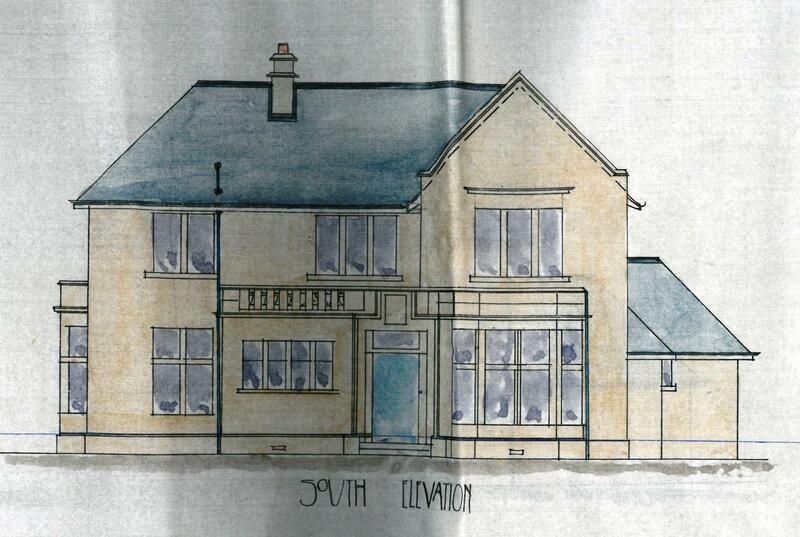 At the time of the design for the Governor’s House in 1907, they had moved to 15 Dumbarton Road in Stirling. 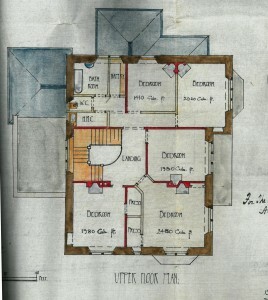 Prior to designing the Governor’s House, McLuckie & Walker were involved with various local properties in the area including Allan’s School in Stirling and Logie Parish Church. Both men died in 1911.